By choosing to use reusable materials for your event, you are helping HMSC to operate as a more sustainable organization. Your participation in this effort is valued. 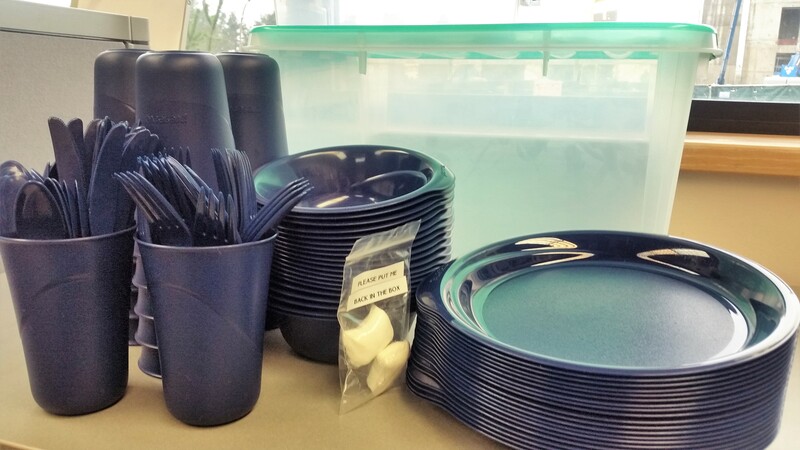 The plates, cups, bowls, and utensils in the HMSC (Guin) Library Party Pack are dishwasher safe. Please reserve the Party Pack in advance of your event to ensure its availability!